Probably founded some time around the 12th century, Skopje’s marvellous Old Bazaar was once a major Ottoman trading centre and its role as a place where old trades and traditions once flourished continues to this day, albeit to a much lesser extent. At the height of its importance, the area contained some 30 mosques and other Ottoman buildings of which several fine examples have survived. Very much an Albanian-dominated part of town, the Macedonian authorities not long ago took the bold step of adopting a law recognising the Old Bazaar as a place of outstanding cultural heritage and as such a lot of work has been carried out making the area more presentable to tourists. Of particular interest is the Bezistan, a covered market where the most precious items for sale in a bazaar were traditionally kept for safety. Skopje’s Bezistan was original built in the 15th century by Gazi Ishak Bey, although several subsequent fires and earthquakes have taken their toll and the current incarnation dates from renovation work carried out in 1899. A visit to the Old Bazaar is an absolute must when in town. 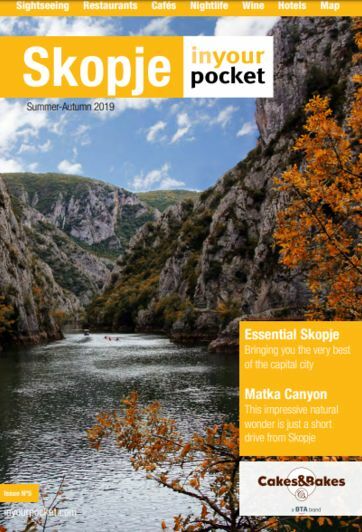 Wandering its narrow, traffic-free streets, browsing the unusual shops, stopping somewhere for köfte/kebap and Turkish coffee and exploring its increasingly unconventional nightlife venues are one of the great pleasures of visiting Skopje.